Welcome along to my Diecast Model Collection, I trust you find it as interesting as I have put while putting it all together. 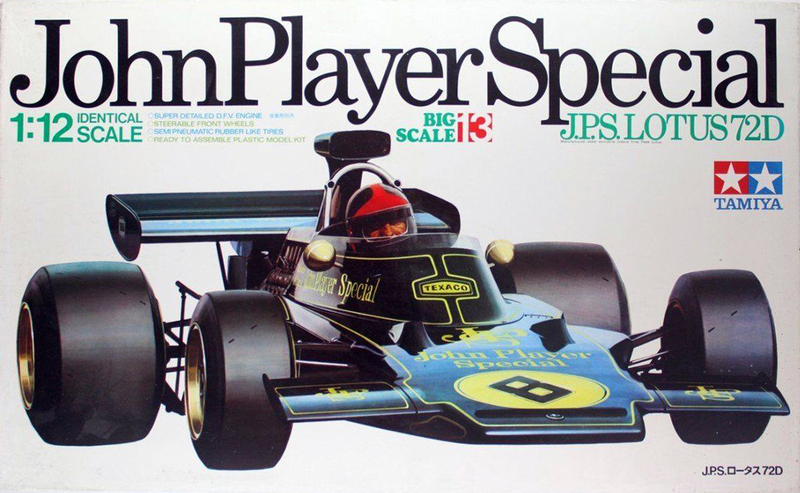 I have been a fan of Formula 1 since the mid 70’s, when a John Player Special was a racing car and not just a cigarette brand. In addition, Martini Brabham’s were screaming around the streets of Monte-Carlo and the “Anytime, Any Place, Any Where” TV Ad’s were common place. As a result this ignited my early interest in design and branding along with building a Diecast Model Collection. My very first F1 car was this one. The 1/12th scale Tamiya John Player Special Lotus 72D as driven by Emerson Fittipaldi. World Champion in 1972. Over the years I had numerous others. Christmas & Birthdays were always exciting times. Onyx Models were the 1st range of cars I purchased back in the late 80’s early 90’s. The Alain Prost McLaren MP4/04, now looking a bit tired, was my initial purchase. The Olivier Panis Ligier JS43, Monaco 1996 Grand Prix Winner was the first Minichamps car for my Diecast Model Collection. Up until the launch of the Formula 1 Car Collection in 2016, all of my old cars had been packed away. Looking at the list of proposed cars, my interest was re-ignited and I started to look and see what else was available. In addition to the well-known Minichamps models, I had never heard of Spark Models before and in no time at all my collection was growing rapidly. Being a Designer and Photographer, I recently set to and photographed all of my Diecast Model Collection and this Catalogue Website is the result. You can use the links on the right-hand side or menu across the top to see the cars. You can search by: Driver, Teams, Years, Brands and World Champions. There are still several additions to be made which will be added over time. Hope you enjoy looking at my Diecast Model Collection, feel free to make any Comments and add a Review to the Individual Cars. The regulations concerning Tobacco Advertising prevent a lot of model cars from displaying the original liveries. Some of the Early Onyx and Minichamps cars have the correct decals but these days there are just gaps were the branding appeared. With most Spark models, a separate sheet of decals is supplied with the model where appropriate. The Best places to buy from: in my opinion! Well worth a look, new cars are being added all the time. Phil at P&P Racing was a recommendation from Spark Germany. 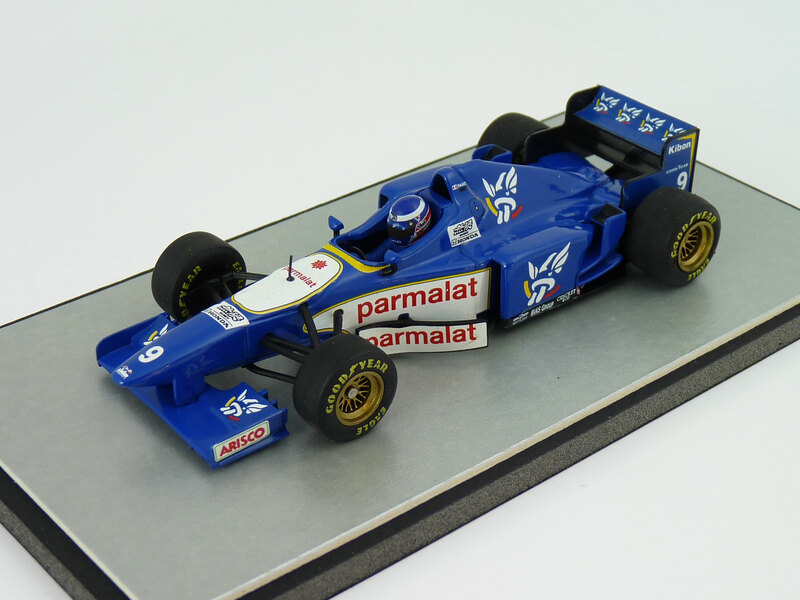 I was after a Ligier JS17 for my F1 Diecast Model Collection and although he didn’t have that one I have purchased a number of models from them since. P&P attend the BP Toy Fairs at the NEC, Doncaster & Staffordshire. They also have a stunning display of Spark and Minichamps, the eBay shop is here. A very helpful chap, well worth contacting or visiting his stand if you’re after something rare for your F1 Diecast Model Collection. 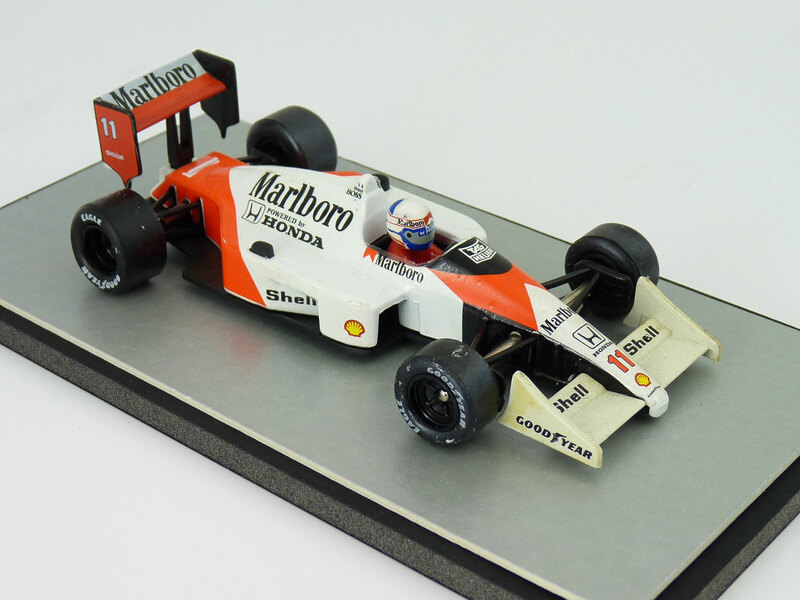 Gavin at Red Twenty 3 has a great stock of F1 Models and Memorabilia. The website is www.redtwenty3.co.uk/ His service is excellent, my last purchase arriving a couple of days after ordering it. Quite often has great deals and special offers. If you are ever in London, between Leicester Square and Covent Garden, you must visit St Martins Models. This shop and its predecessor just around the corner has been there for over 40 years. There is always plenty to see. The website is at www.stmartinsmodels.co.uk and also www.diecastlegends.com which is their online shop. This German based online store has an amazing range of products and great prices. For example, the Jenson Button McLaren I purchased from them came in at around £30.00 – a fantastic saving. Car Model is an Italian online store, with an excellent selection of Diecast Models. You’ll find some of the F1 Auto Collection (Italian Set) here, along with an extensive selection of Brumm, Tameo, Altaya & Edicola Ferrari’s. Barry Potter Fairs (BP Fairs) run what I think are the biggest and best Toy Fairs in the UK. The NEC Birmingham show is the Britain’s Biggest Toy Fair with around 500 stalls. You’ll normally find DHMI & P&P there and I have always found numerous bargains. Sandown Park is another favourite. These and 7 other locations, mainly Midlands, are on 3 or 4 times a year. Bulldog Fairs are found in the South West of England. The Show at Shepton Mallet is very good, being the biggest, followed by Exeter with about 200 stalls. Once again, I have usually picked up a number of bargains. With any Toy Fairs you have to look quite hard and have a rummage. Don’t worry if the cases are damaged, you can replace them. It’s the condition of the cars that’s important. With just under 1/3rd of the votes, this was the Winner. The Collection, built up over a number of years includes cars manufactured my Minichamps, Spark, Formula 1 Car Collection, Altaya, and other brands.